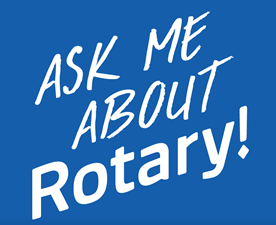 LAST CHANCE TO ORDER ROTARY T-SHIRTS (for now)!!!!! Mary Skopec and I will be taking orders for club t-shirts! Deadline is Feb 15th. It is a high quality t-shirt material that is very comfortable! It will become one of your favorite t-shirts because of it’s fit! The above prices are based on an order of 24 – 47 T-shirts. We hope to continue to be involved in many community events and projects and what better way to advertise how great our club is than by wearing it proudly on our chest and back! !